This large particle contains a number of cellulose fibers still in a mat. 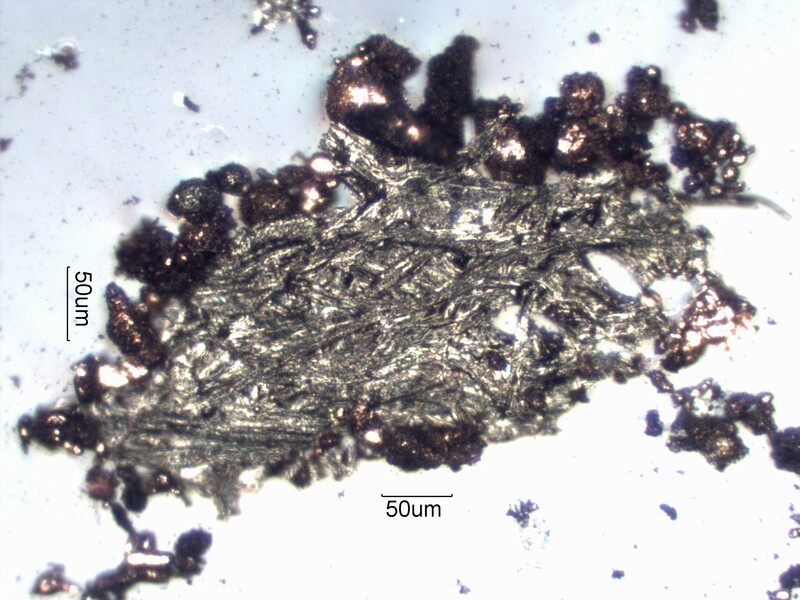 This charred paper fiber is surrounded by copper arc spheres. This demonstrates its proximity to the site of the arc.